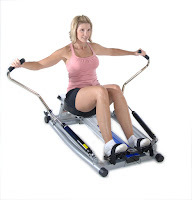 The Stamina 1215 Orbital Rowing Machine features Free Motion Arms for a full range-of-motion rowing that mimics the feel of real water rowing. The Stamina 1215 incorporates a smooth hydraulic cylinder resistance system with adjustable tension controls. The precision extruded aluminum beam features a deluxe ball bearing roller system that allows the seat to smoothly glide along the beam. You can increase the incline of the beam to increase the intensity of your workout to keep your workouts progressively challenging. 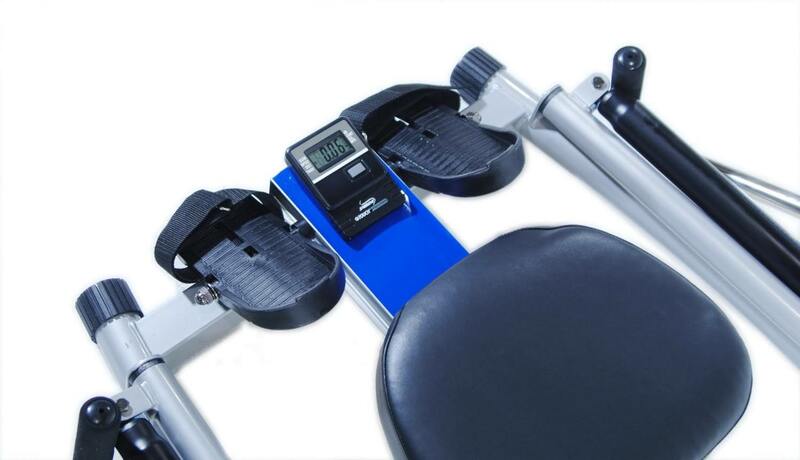 Built with comfort and ergonomics in mind, the Stamina 1215 Rower features a comfortable thick-padded seat and pivoting foot plates. The Stamina 1215 comes with a single-button multi-function fitness monitor which displays workout stats such as time, speed, distance, row count, miles rowed, and calories burned. With the Stamina 1215 you can choose whether to use the orbital motion or traditional up/down rowing motion depending on how you feel. The adjustable-resistance rowing arms feature comfortable foam grips for a sure stable hand-grip, and the arms can be folded for storage. 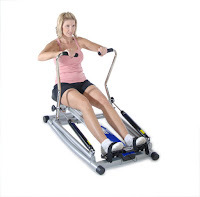 Built with a compact and portable design, the Stamina 1215 Orbital Rowing Machine is ideal for home use and offers one of the best all-round fitness activities, working all the major muscle groups including the legs, arms, abs, buttocks and back. Rowing is one of the best low-impact total body aerobic workouts you can do, helping to increase your metabolism, improve your cardiovascular health, burn fat, strengthen muscles, and tone the body. Useful tip: Just 30 minutes on an indoor rowing machine could burn between 262-449 calories for women or 310-531 calories for men, depending on the intensity of the rowing. 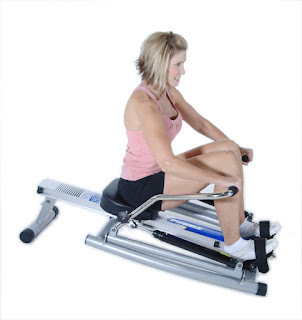 Kettler Favorit versus Kettler Kadett Rowing Machine, What's the Difference? WaterRower versus Concept2 Rowing Machine, How do they Compare? Comparing WaterRower S1 versus WaterRower M1 Commercial Rowing Machines, What's the Difference? Comparing WaterRower M1 LoRise versus M1 HiRise Rowing Machine, What's the Difference? Concept2 Model E versus Concept2 Model D Indoor Rowing Machine, What's the Difference?